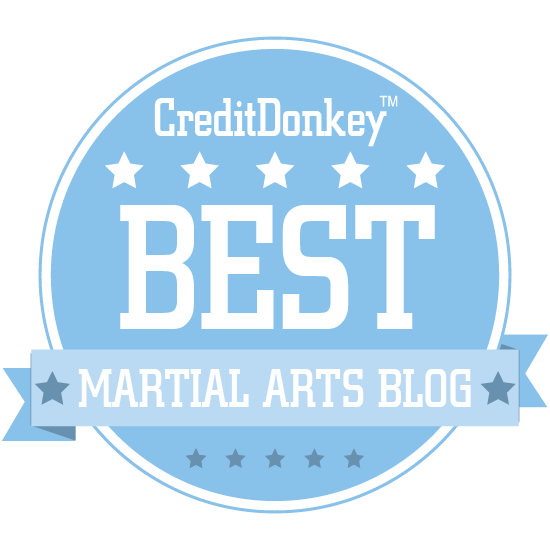 Making a fist is one of the most central and important, yet insufficiently understood, basics of the martial arts. 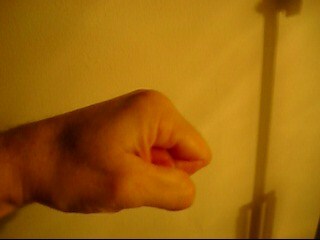 So how should you make a fist? The first thing you should do is have a tight grip. I think that much is self-evident. I often watch boxers and other combat sports fighters "air boxing" without gloves and notice that their hands are lightly clenched, if not open. These fighters are used to having their hands strapped and then placed into protective gloves. If you're going to fight ungloved don't, I repeat don't, think you can get away with this. It might feel fluid and relaxed. It might even feel "natural" (the strapping forces your hands open to some extent, so might find a fully clenched fist "odd"). But it is also very dangerous to you, as I'll discuss in a minute. (b) takes the longest to heal after injury. The video below explains what I mean by this. After you've clenched your fist, turn it over and count the number of fingers crossed by your thumb. 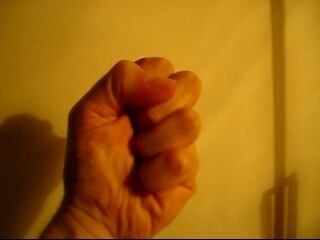 I've found that the optimum fist is formed approximately when your thumb extends half way over your middle finger. If your thumb extends any further you will have a "collapsed fist": in other words, you won't have a flat enough striking surface. The adjacent image provides an illustration of such an "over-extended fist". On the other hand, if your thumb doesn't extend far enough across your palm, it will stick out of the side. I've noticed that this is a common habit among senior black belts who are starting to become more "relaxed" in their movement. It is dangerous since your thumb can hook your opponent's clothing or impact on his or her fist/kick/body, causing a nasty sprain (see point number 1 above). Over-clenching might also seem benign. After all, won't this provide greater protection of the smallest knuckles? No it won't. 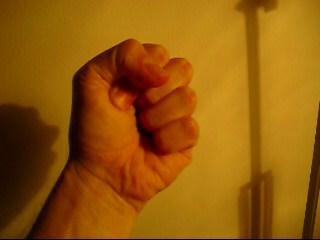 The problem with over-clenching your little knuckles is that it distorts your fist so that you no longer have a flat striking surface, as illustrated in the adjacent images. In order to achieve a stable, strong fist and a flat surface on your 2 biggest knuckles, you need to ensure that the clench is even across all your fingers. 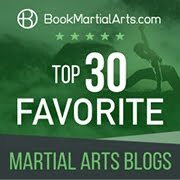 As I discuss in my article "Punching: alignment and conditioning" I prefer striking with the 2 big knuckles and I think the overwhelming majority of martial arts styles gravitate to the same conclusion. This is for obvious reasons: the 2 big knuckles are bigger, stronger and, most importantly, they line up correctly with your forearm. Point your index finger at your target. Now draw your finger in. You should have a correctly aligned fist. Why? Repeat the experiment, but this time point your index finger and your middle finger. You'll find that there is no difference in your fist alignment whether you point your first 2 fingers or your index finger only. First, the phoenix fist is a weapon directed at soft targets. Second (and more importantly) creating a single knuckle shape automatically aligns your fist and your forearm – whether with the vertical fist or the corkscrew. In this regard it is not at all different from the "pointing demonstration" I refer to above. 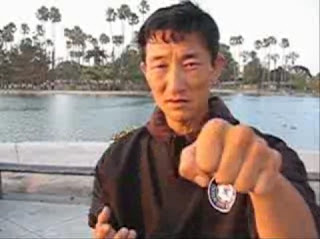 So I think xingyiquan features the single knuckle fist as a beginner teaching method more than anything. 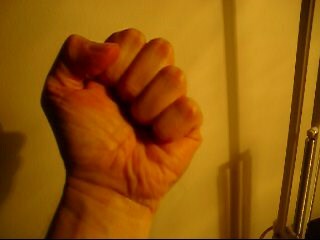 In the Chen Pan Ling system we interchange the vertical fist with the single knuckle vertical fist all the time. Over the last 25 years of teaching I have encountered the occasional student who, despite his or her best efforts, cannot create a flat surface of his or her 2 prime knuckles. One of these students adopted the fist used by the karate master, and founder of the shotokan style, Gichin Funakoshi. Funakoshi's fist1 was made by leaving the index knuckle straight (ie. 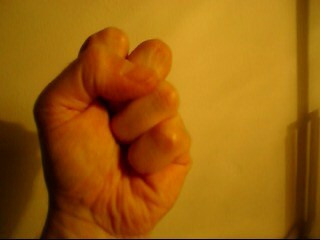 it is not clenched into the palm) as illustrated in the adjacent image. 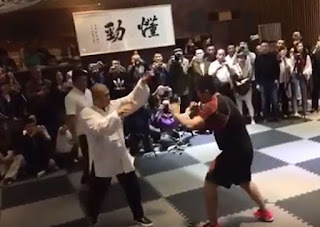 In the particular student's case, the result was a flat striking surface on his fist - something he had never been able to achieve with the "standard fist" despite 5 years of effort. Why bother making a fist? "I believe the point is missed here. The real question is why fist when you have palm heel (teisho)? You can hit as strong as with fist if not even stronger, it's way much safer in terms of injuries, and it's less noticable in terms of a surprise attack. It's even known that inventors of modern karate katas introduced fist strikes in order to conceal palm heal or other more dangerous techniques. So again, why should we even think of using the fist at all?" As I explained to Edward, while I am a practitioner of a variety of martial arts, some of which use palm and palm heel strikes exclusively (eg. 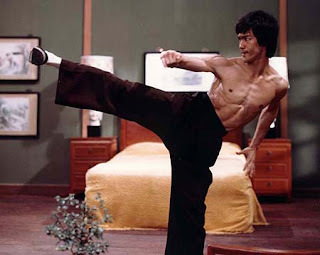 bagua) I have not, in my 30 years of experience, found a substitute for the punch. There is something about the hardness of the fist and the reduced striking surface (and corresponding increase in pressure on the target) that cannot be replicated with palm/palm heel strikes. I've also found it very hard to perform certain blows (eg. 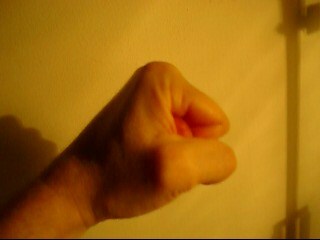 uppercut) using any form of palm strike. Edward replied to this by pointing out how injurious (to the puncher) fist strikes can be. And he is right. As I discussed in my article "Punching: alignment and conditioning" I've had friends who have broken fingers very badly while defending themselves with fists. To offset the risk of injury, karate uses some conditioning and emphasises correct alignment (as discussed in that article). In my experience this goes a long way towards making punching effective in civilian defence. Furthermore, I strongly believe that punching should follow the "hard on soft" and "soft on hard" principle: ie. your knuckles should be used for soft targets (eg. the belly), while softer striking surfaces such as the palm heel should be used for hard targets (the chin). Quite apart from punching, fists are a very good defence against finger and hand injuries. I've had my fair share of bent and snapped fingers. I have a bone jutting out of the back of my right hand - courtesy of colliding my open hand with an incoming kick. Fists go a long way towards avoiding these sorts of injuries - trust me on this. 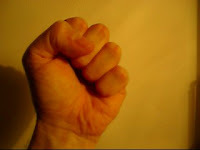 A well-formed fist can withstand more punishment (especially at certain angles) than a loose one. 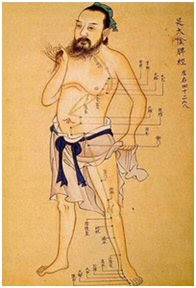 In internal arts such as taiji (tai chi) a premium is placed on moving in a relaxed manner – and everything is geared towards maximising this (eg. 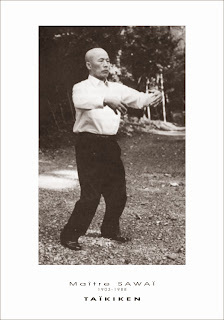 the using the relaxed, but firm, "tai chi hand"). This is quite valid, however for the purposes of combat this concept is suited only to the more advanced student - precisely because it is risky. When I spar with a more seasoned or more unpredictable opponent I default unconsciously to clenching my fists or stiffening my hands for fear of spraining or breaking a finger. But when I am more confident I relax and use more advanced techniques. To me, clenching your hands is more conservative - and more basic. A similar issue arises with techniques such as the "Chinese tile hand" where fingers are kept slightly apart during breaking. Again, it is probably okay to keep your fingers apart when you are hitting a stationary object – but when faced with unpredictable events (eg. an antagonistic, fast-moving opponent) I’m not sure I could recommend it! 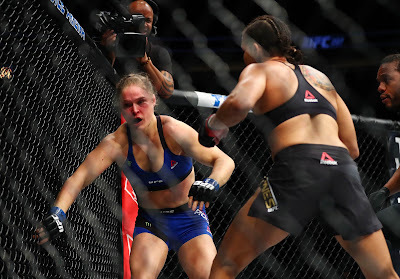 The fist is one of the main staples of fighting. 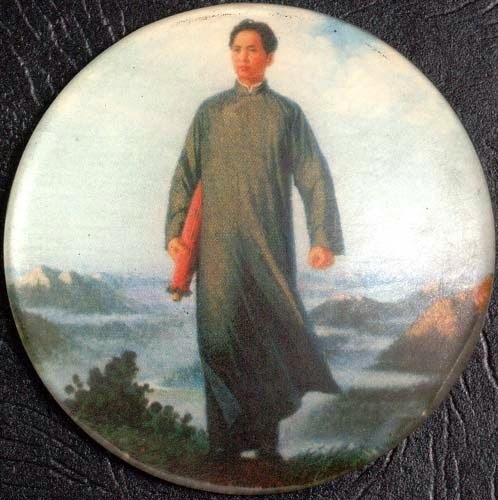 It is the symbol of karate and is intimately tied to most of the Chinese fighting traditions (eg. 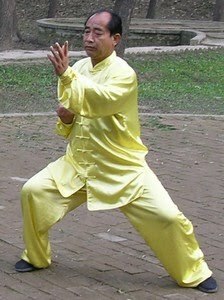 taijiquan means "grand ultimate fist"). It is used in most unarmed "striking" combat sports, ranging from Muay Thai to Western boxing (including during the "bare knuckle era"). And in my opinion making a fist has an equally important role to play in civilian defence - and that is to protect your fingers and hands generally. 1. See this article by Victor Smith. I was going to say the same thing about the single knuckle in Hsing I causing the correct alignment - but I didn't want to get too far off the topic of your previous post. I haven't heard of the Funakoshi fist before. Any place I can do some reading about it? As always, the Devil's in the details. I remember the drills for closing and opening the fist, staring with the little finger (it's in a lot of breathing drills too). For physiological reasons (plus some injuries) I've never been able to completely close my right fist, depending on palm strikes and my left hand, and my memory (ouch!. Now with your Funakoshi fist, I have the solution. Now I just have to find someone or the occasion to try out my "new" Funakoshi fist! What about the makawara for correcting fist alignment? 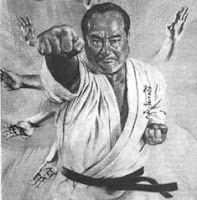 Am I the only one who thinks Funakoshi's Karate looked/looks robotic? I definitely agree that open handed fighting is for the more advanced! Fists are definitely safer, especially in a self defense situation. Indeed Jorge - makiwara does correct alignment! Joshua - Funakoshi's karate is very stiff, but not as stiff as that of his son Yoshitaka! No, you're not. It is. But it's like that for a reason. ps. Good article Dan. The last time I saw an article about making a fist, it ended up started a bad flame war.